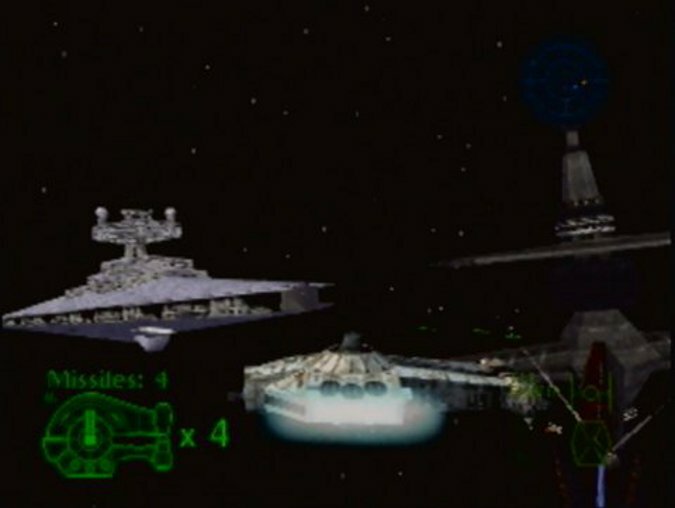 Star Wars: Shadows of the Empire was hotly anticipated prior to its release in late 1996 (1997 in Europe), especially as it was the N64’s first Star Wars game. 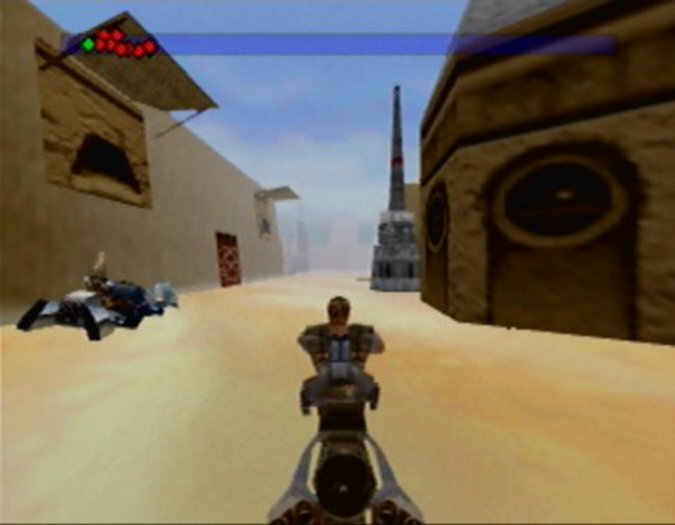 Excitement and the fact that it released early in the N64’s life when the software line-up was slim helped Shadows of the Empire to sell over 1 million copies. Set in between The Empire Strikes Back and Return of the Jedi, Shadows of the Empire tells the now non-canon story that originally connected the two films together. 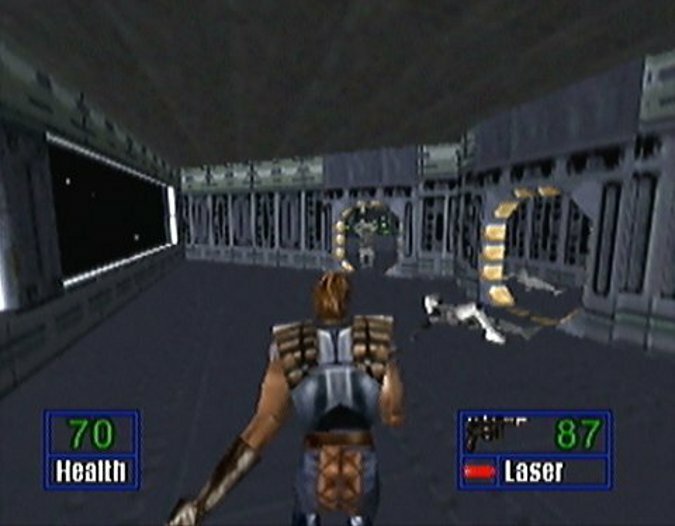 You play as Dash Rendar, a smuggler who becomes involved with the Rebel Alliance around the time of the Battle of Hoth. Shadows of the Empire is primarily a third-person shooter that also features some vehicle-based missions. 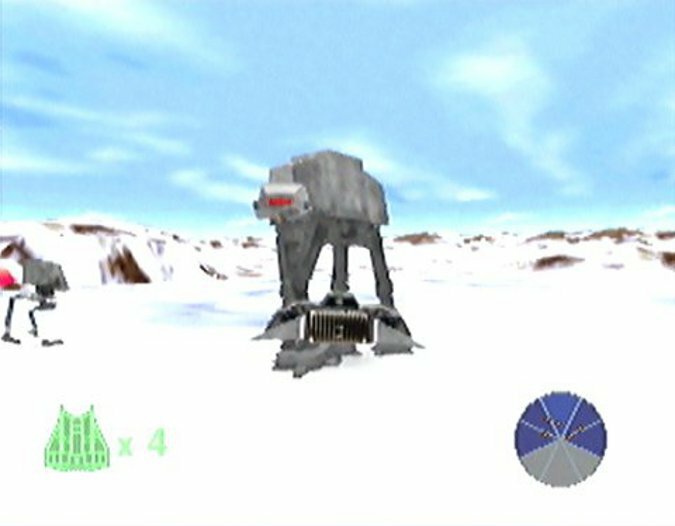 In addition to traipsing around on foot, you also get to partake in space battles, a speeder bike chase, and even the famous Battle of Hoth. These vehicle missions serve as a nice intermission between the more down-to-earth foot-based stages. And despite looking pretty basic by today’s standards, they do an admirable job of delivering a burst of Star Wars-themed excitement. These sections are relatively simple and accessible too, enabling you to get straight to the action. 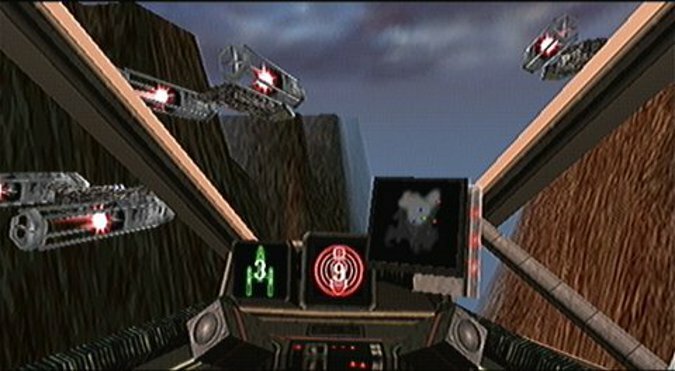 In fact, it’s this design approach that inspired the N64’s next Star Wars game, Star Wars: Rogue Squadron. 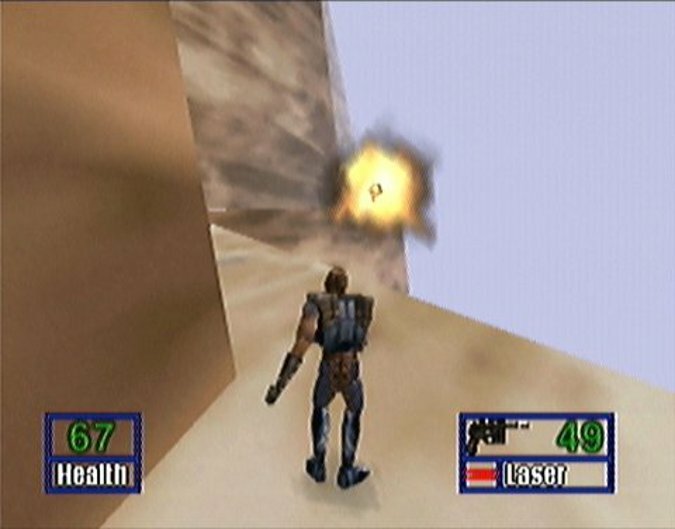 The on-foot missions also experiment with different ideas, such as using a jetpack to safely navigate a deep canyon. They’re essentially a mixture of combat, platforming segments and boss encounters. Although there’s variety in the gameplay, it’s actually pretty underwhelming. Enemies are relatively immobile and travel at a snail’s pace in the instances when they do decide to move. As a result, combat is simply a quick-fire contest. 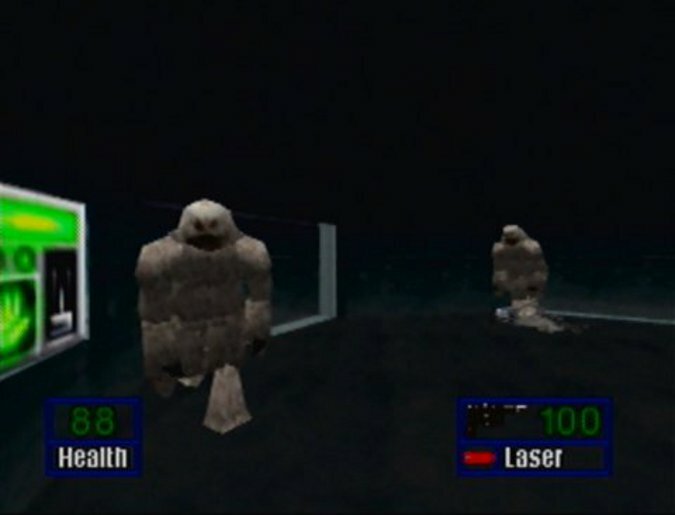 Boss fights are thankfully more involved, requiring you to dodge incoming projectiles and take cover in order to survive. 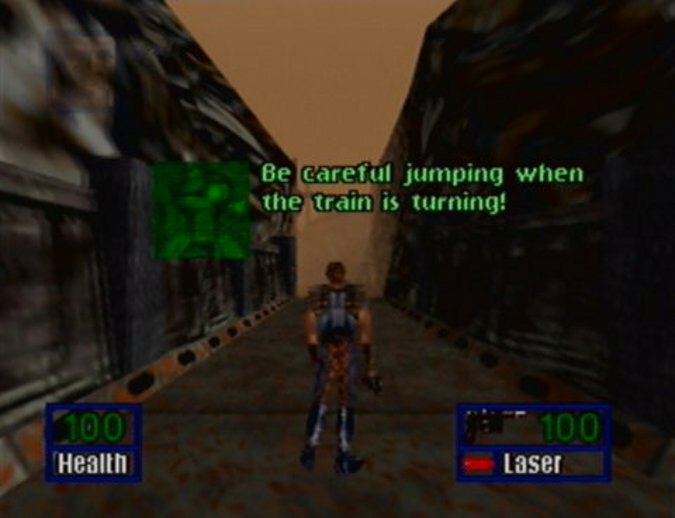 The game starts off with a strong platforming focus, which peaks during Shadows of the Empire’s fourth mission, in which you must constantly jump between moving trains to avoid instant death. It’s challenging and requires quick-thinking – but sadly short-lived. That’s because the platforming takes a backseat after this point, as the jetpack you get in the next stage negates the need to jump skillfully for most of the rest of the game. Each stage features collectible Challenge Points, and finding all of these on each difficulty setting will unlock hidden bonuses. Obtaining these in the vehicle missions typically involves completing a secondary optional objective, which adds a nice little goal to aim for while trying to do everything else you need to do (such as staying alive). This additional gameplay challenge gives Shadows of the Empire a bit more depth and replay value, which helps given that it’s not a particularly long game. You can easily complete it in around five hours, although as far as the story and gameplay are concerned, it feels like a complete experience. Unfortunately, Shadows of the Empire’s horrendously awkward controls make the on-foot missions incredibly arduous to play. 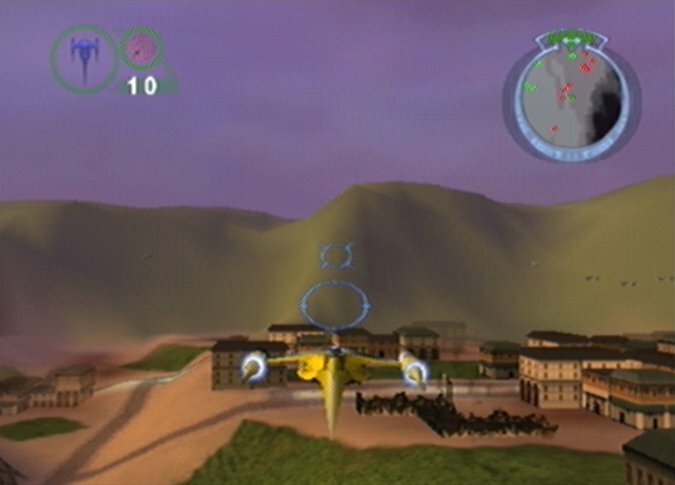 It’s especially apparent today given that Shadows of the Empire doesn’t have a control configuration that’s similar to modern third-person action games. Strafing is toggled on and off using the R shoulder button, but feels too clunky to be useful, mainly because it prevents you from turning. Similarly, you must come to a complete standstill and hold Z to look vertically. Aiming this way is just too slow and cumbersome, especially when under fire from multiple enemies who may be either below or above you. You can’t afford to do this on higher difficulty levels, where enemy damage is considerably higher, and it’s simply out of the question when it comes to most boss battles. The game has an auto-aim system, which somewhat compensates for this lack of mobility – when it works that is. 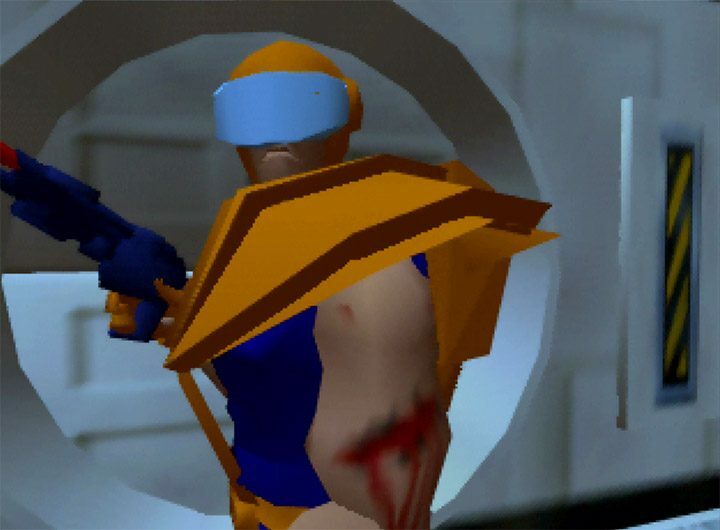 There’s just no rhyme or reason to it: sometimes, Dash’s shots sail past enemies directly in front of him, whereas other times his weapon will track distant enemies with remarkable ease. As a result, enemy encounters are often a frustrating and inconsistent affair, while boss fights are inadvertently made just that little bit more difficult. Despite its age, Shadows of the Empire manages to portray the Star Wars universe in an authentic manner. Characters and vehicles sport a surprising amount of detail, and for the most part behave and move as they do in the films – the way the AT-ST walks is particularly noteworthy. 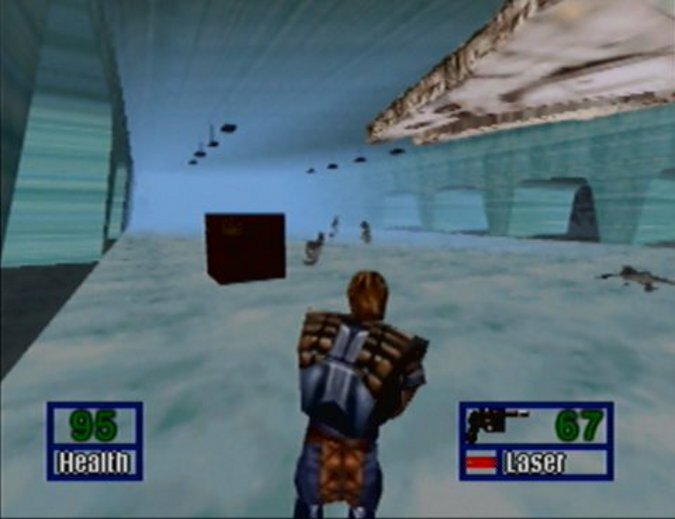 Generally, the visuals are clean (helped by the relatively simplistic terrains and backgrounds), and so don’t get in the way of you playing the game – although one particularly murky sewer-based level later in the game looks noticeably bad (it didn’t look great back in the day either). 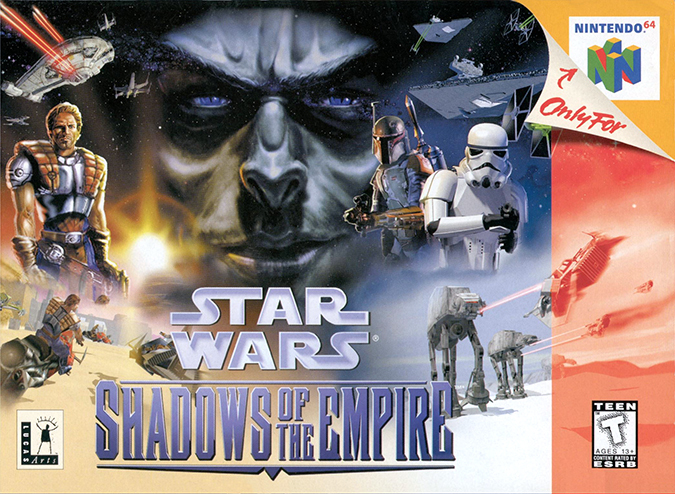 Shadows of the Empire features a digitised orchestral soundtrack (as opposed to the synthesised music used in Star Wars: Rogue Squadron and Star Wars Episode 1: Battle for Naboo). Despite being a recording, the overall sound quality is noticeably low by today’s standards, most likely because the music files had to be heavily compressed to fit onto a mere 12MB cartridge. 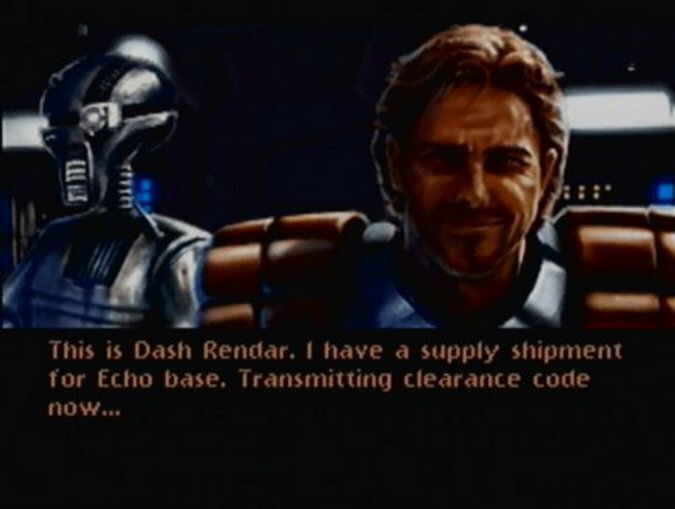 Over 20 years later, Star Wars: Shadows of the Empire clearly shows its age. The vehicle-based missions, while simple, still prove to be fun, and the attention to detail in terms of visuals ensures this looks and feels like a Star Wars game. 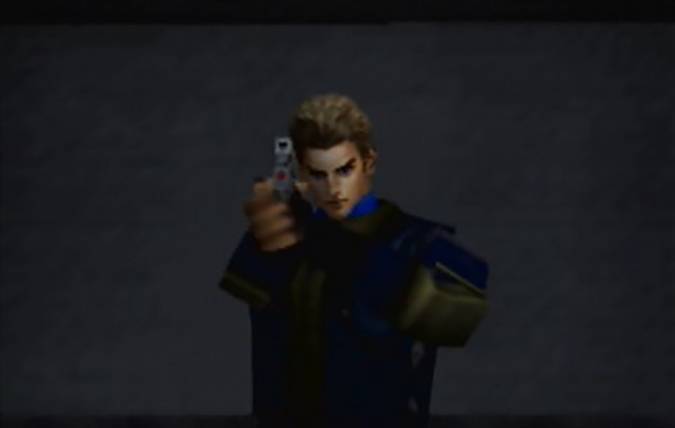 Nevertheless, it’s an unwieldly, clunky experience that frequently proves too frustrating to play as a result of its awkward controls and unreliable weapon aiming system. There are some genuinely fun and interesting moments, but there are plenty of dull and uninspired ones at the same time. 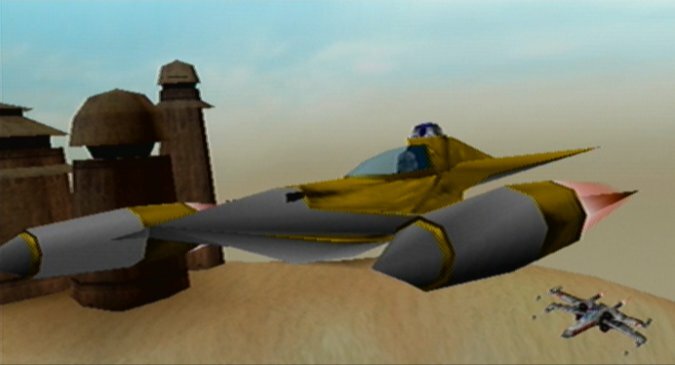 If you have the patience of a Jedi, or already play a lot of N64 games, then you may find some enjoyment in Shadows of the Empire. 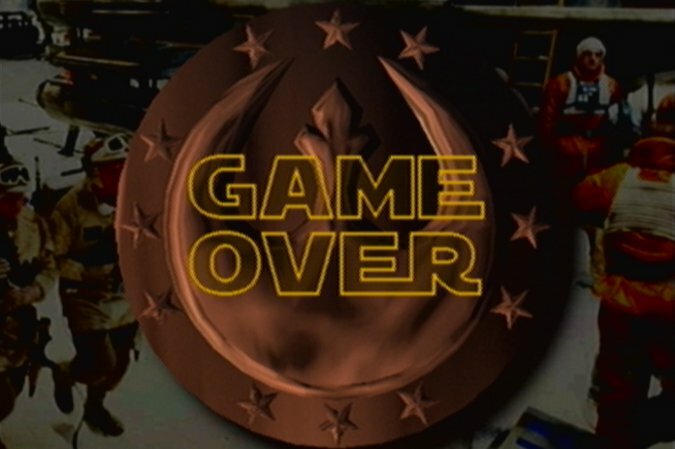 Otherwise, there are better N64 Star Wars games you could be playing instead.